IGNITE THEATRE COMPANY IS DEDICATED TO HELPING CREATE GREAT PEOPLE FIRST AND GREAT PERFORMERS SECOND. 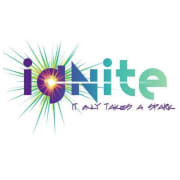 Ignite seeks to teach the performing arts in a collaborative, encouraging atmosphere while encouraging community outreach and service and providing opportunities to the underserved. Would you recommend IGNITE THEATRE COMPANY?